We’re living in what’s been termed “the age of loneliness”: we’re more connected than ever before, and simultaneously, more isolated. We rely on social media in place of face-to-face contact. We bemoan the deterioration of conversation as we spend more time looking down at our screens than up at the people we’re talking to. But, really, the problem is that we do not give ourselves permission to talk about the things that truly matter. Over the past two months, I have gotten in the habit of breaking bread with strangers over dinner tables small and large all across the United States. On the campus Christian university in Texas, my tablemates were college students at a interfaith gathering. They came to the table because they were all invested in creating bridges across lines of religious difference. One student from Nepal described his experiences growing up in refugee camps before finding a new home in the U.S. His voice cracked as he expressed his fear that pathways to safety could be blocked for those fleeing violence today. Meanwhile, at an international gathering of social innovators in Miami, we found ourselves sharing about pain in our personal lives. Over lemon bars and brownies, stories of childhood abuse and domestic violence rose to the surface and were held with great compassion by those privileged to bear witness to these accounts. Back home in Nashville, I circled up with six women, many of whom hail from small towns in the rural Midwest and South. Sitting at the table they opened up about the chasm they felt between themselves and their communities in the aftermath of the presidential election. One young woman expressed her doubts that she could ever truly “go home” again because her political orientation is so different from the people she grew up with. A chorus of nods around the table greeted her. What is striking about each of these conversations, is that, though they took markedly different directions, they all began with the same set of three questions. The questions were each designed to elicit stories from my tablemates about times they felt unwelcome and times they felt at ease. These dinners did not come about by accident, but with deep intention, arranged through a campaign I launched with two friends called #100Days100Dinners. The invitation is simple. During the first 100 nights of the new presidential administration we asked everyday Americans to host a dinner in their home either with folks you know — to encourage belonging and individual and collective healing — or with folks you don’t know — with the goal of bridging political, ideological, and identity difference. Over the past three months we heard from people in 282 villages, towns, and cities hungry for connection. On Saturday, the 100th day of the administration, we will host our 110th dinner in Kalamazoo, Michigan. I would be lying to you if I said that the work of recognizing our common humanity in the current political and social environment is easy. It is not. The 2016 election cycle revealed that the rupture at the heart of our communities runs deep. It is the product of decades of rhetoric that have framed differences of opinion as irresolvable conflict and oppositional voices as the “enemy.” All the while the unacknowledged impact of systemic racism, classism, and sexism lingers like a festering wound that rots away our ability to see the problems that plague our communities as interconnected. The painful truth is that there are many among us who do not know people whose life experiences are different than own own. As more people move to cities, the chasm between rural and urban communities is growing because mobility is a luxury only afforded to those with the ability to pay for it. We still live with the remnants of insidious housing policies that intentionally segregated black and brown bodies from white ones. In the absence of proximity, our instinct is to turn to who and what we know. In our echo chambers, we find shelter and reinforcement for both our core values and worst prejudices. What have I learned through the #100Days100Dinners project? The story of division so prominent in today’s headlines is not the final word on our democracy. Each dinner I attend reinforces a new narrative. A story that reveals that unity does not mean sameness, and it is indeed possible to bridge differences without compromising your values and principles. The first step is the extension of an invitation to what my friend and colleague Micky ScottBey Jones calls “brave space.” A former birth doula, Micky is now a “justice doula” helping support and encourage the growth of changemakers working to build communities that recognize the worth and value of each living being. Brave space recognizes that there is no such thing as safe spaces in our communities. We all have the potential to hurt others and be hurt ourselves. If we are to move forward toward a more loving vision of what we can be, we must do it together. It will require vulnerability and courage. Perhaps, most poignantly, it will require the risk of saying yes to the unfamiliar for a chance at the transformational. We invite you all to pull up a chair. One dinner will not change the world. One conversation will not heal all wounds. Yet, it can be a start and beginning is half the battle. Jennifer Bailey Named one of “15 Faith Leaders to Watch” by the Center for American Progress, Rev. Jennifer Bailey is an ordained minister, public theologian, and emerging national leader in the multi-faith movement for justice. 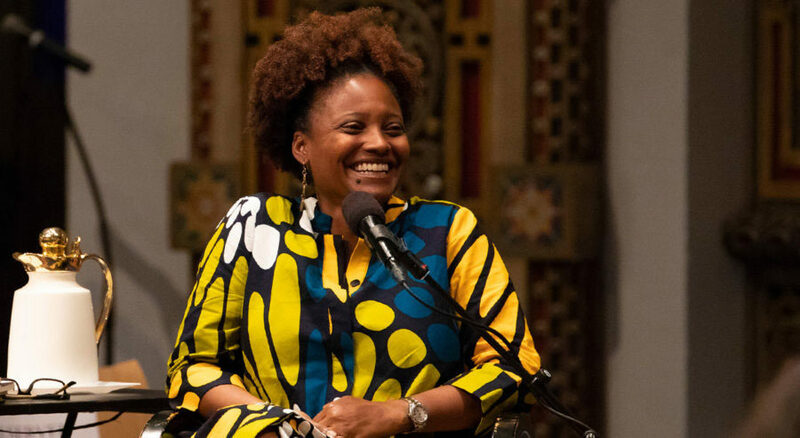 She is the founding executive director of the Faith Matters Network and a Public Voices Fellow of The OpEd Project. Jennifer comes to this work with nearly a decade of experience at nonprofits combatting intergenerational poverty. 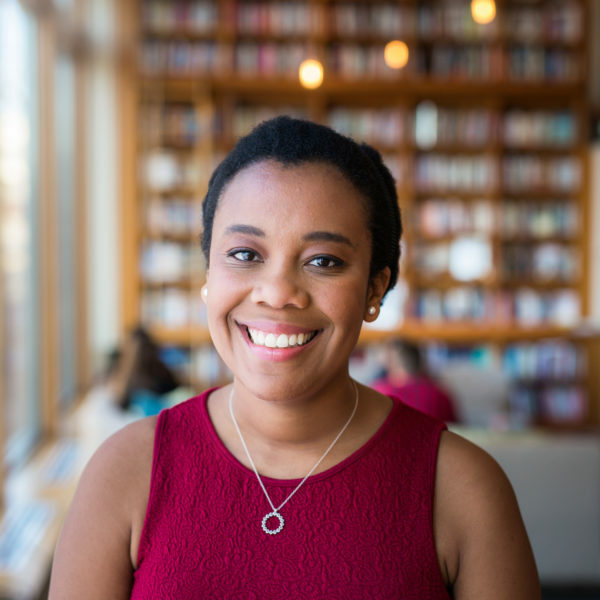 An Ashoka and Nathan Cummings Foundation Fellow, Jennifer earned degrees from Tufts University and Vanderbilt University Divinity School. She writes regularly for Sojourners and The Huffington Post. Her first book, tentatively titled Confessions of a #Millennial #Minister is currently under contract with Chalice Press. Rev. Bailey is an ordained itinerant elder in the African Methodist Episcopal Church.